First run this week. It was pretty rough! I think I completely missed the cue for the last run. Oh well, make up for it next time I guess. Only 2 miles this time. Better than nothing. I only ran once last week, so that’s probably why it was so tough today. Anyway… Off to find something design related now to entertain myself. 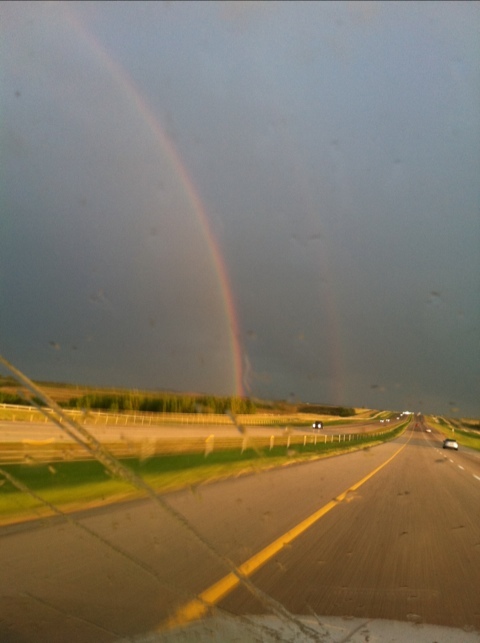 There’s the bit of double rainbow I saw last night on my drive back to Calgary!